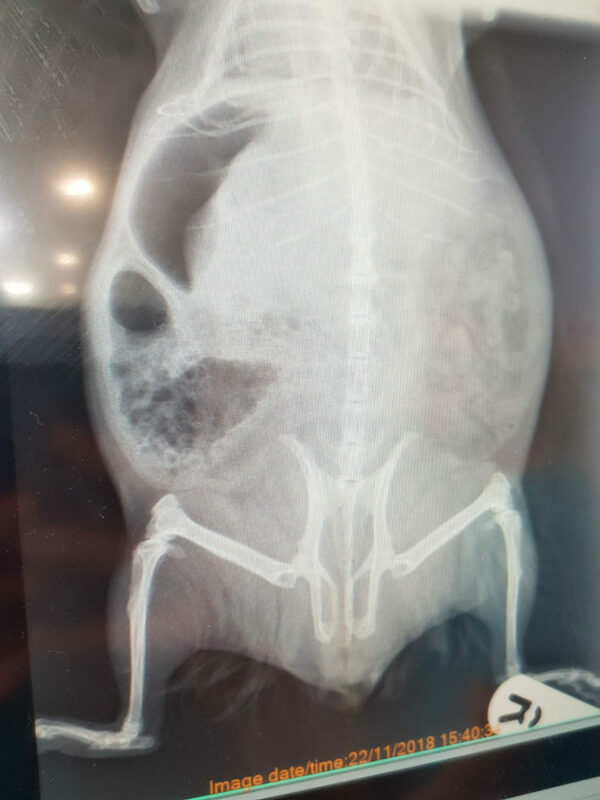 A beloved pet Guinea Pig who was finding trips to the toilet an eye-wateringly painful experience is happy and healthy again, thanks to an incredibly intricate operation carried out at Calder Vets. 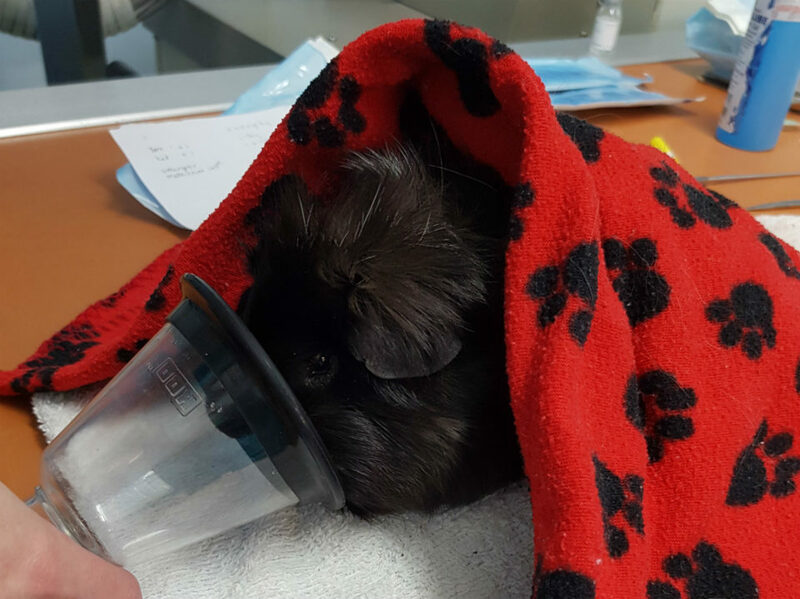 Expert staff at our animal hospital in Dewsbury solved the life-threatening condition by using tiny mosquito forceps to remove a large stone from Holly the Guinea Pig’s urethra. Holly’s concerned owner Anne Holgate had realised there was a problem when her three year old pet began frequently arching her back and squealing in pain. X-rays at the Dewsbury site revealed the cause of the problem and little Holly was sedated while vet Claire McAneny and nurses Louise Bardon and Helen Meegan quickly got to grips with the problem and carried out the delicate operation. 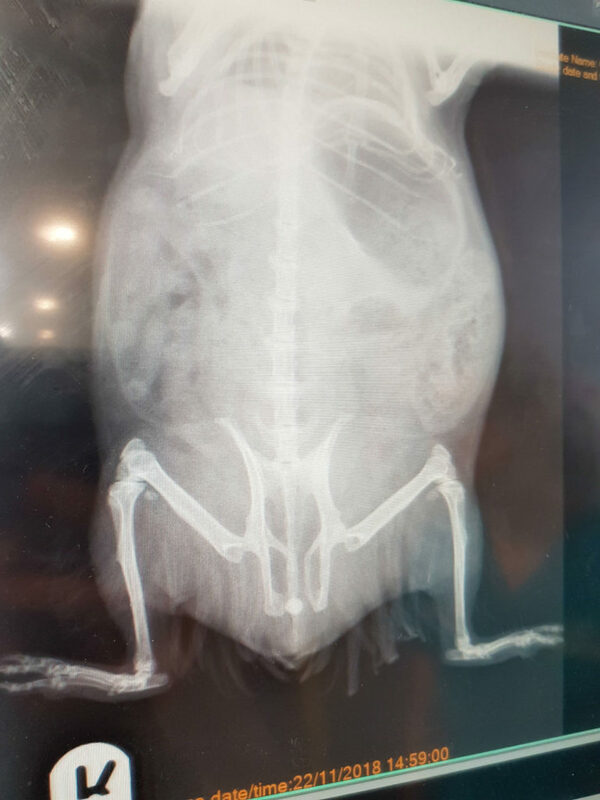 Louise explained: “The X-rays identified a large stone obstructing her urethra, which we identified as the cause of all her pain and discomfort. “Fortunately, we managed to remove the stone using tiny mosquito forceps, without the need for any invasive surgery. Mrs Holgate said: “I’ve been keeping guinea pigs for 20 years so I knew this was very unusual and something was seriously wrong. “I was very relieved afterwards and can’t thank the staff at Calder Vets enough. 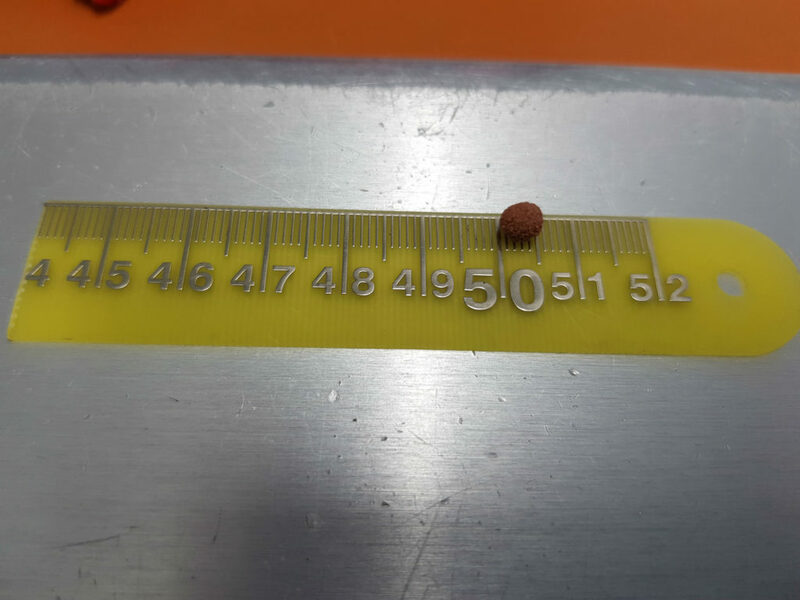 “I couldn’t believe the size of the stone they removed, I’ve actually kept it in a little bottle because it was so big. “Happily, Holly has made a full recovery and is doing very well. She is pain free, healthy and eating well again.